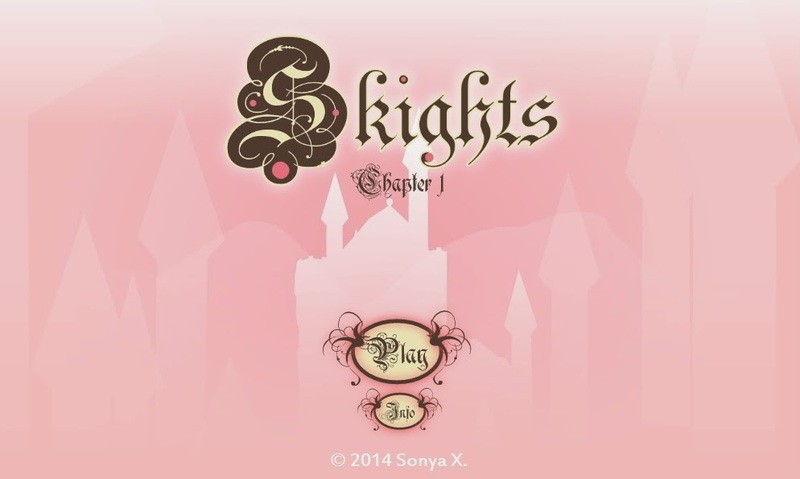 Skights I is the first episode of a GxB romance visual novel uploaded on Joilly, a site where you can play free visual novels. I have to say, this game is awfully cute. Hahaha. But then again, like everything else, it's also just a matter of personal preferences. Some people would love it, some would not. 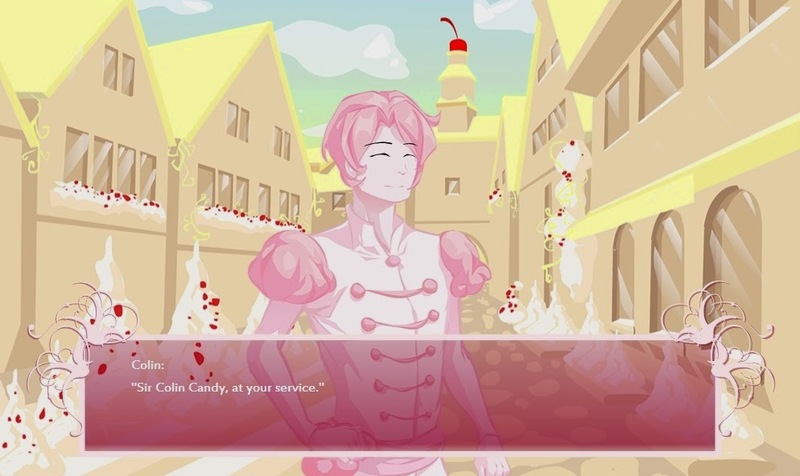 Sam is from the Strawberry parts of Sugaria. She is a "Wild Sugar" savage, as the other people call their kind. Sam is a tough huntress, the best there is in all of Strawberry lands. I didn't like her as much as the other protagonists though. 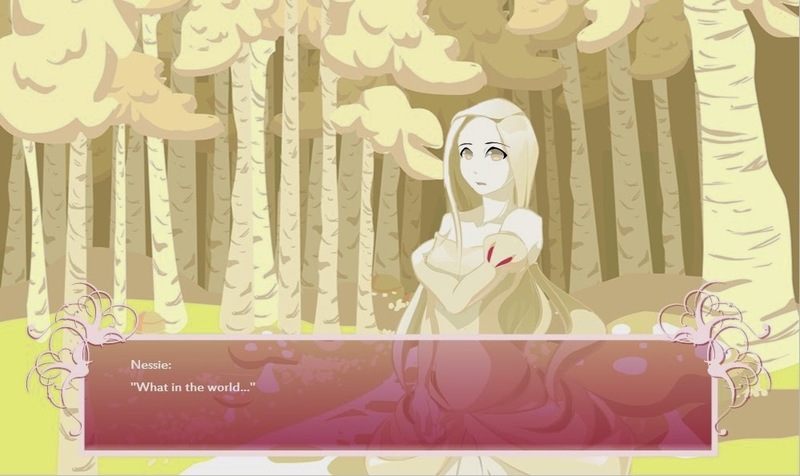 Nessie is a poor servant girl from the Vanilla kingdom. She often runs errands for the people of their village. Also, she is obviously in love with Sir Colin, a knight and childhood friend of hers who is very popular around the ladies. However, her social standing prevents her from admitting her feelings for him. 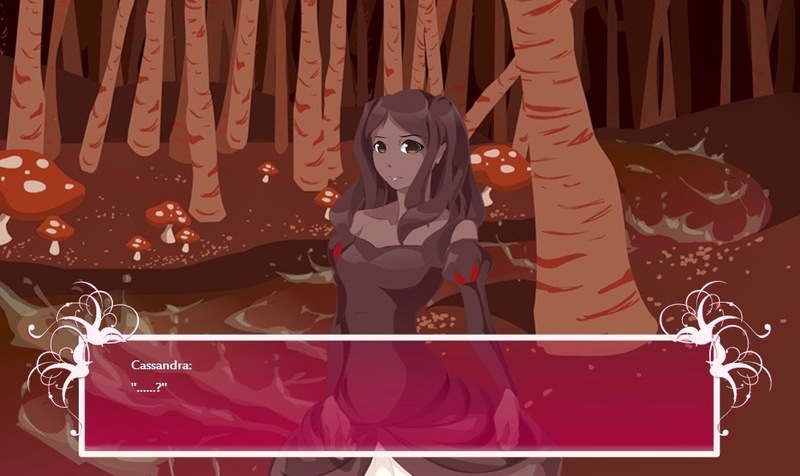 Cassandra is the last girl to be introduced, and she is the princess of the Chocolate lands of Sugaria, the richest kingdom in all the lands. She is seen to be a spoiled, pompous brat who hates her brother, Charles, but an unfortunate incident happens and we see that she actually cares about her family very much. + The art was really good. I really loved the colorful, cutesy art syle. + The presentation was great! 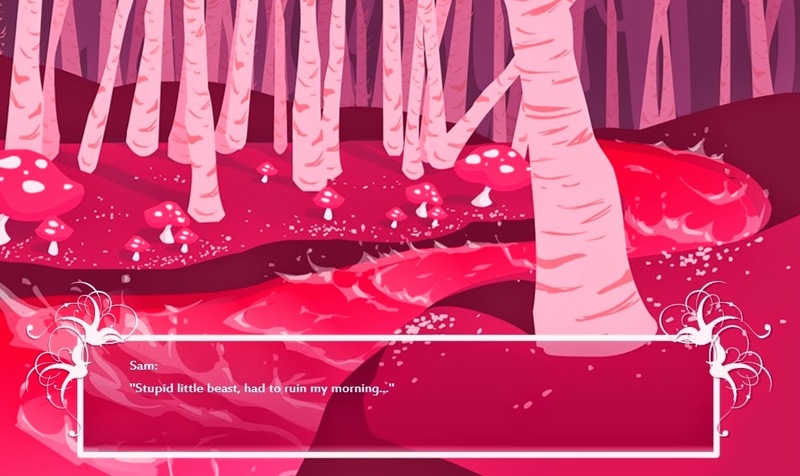 I like the textbox and the transitions; they were absolutely beautiful. The world looked so alive. Hahaha. It was actually a bit like watching Powerpuff Girls as a child, lol. =) Personally, I loved it so much. 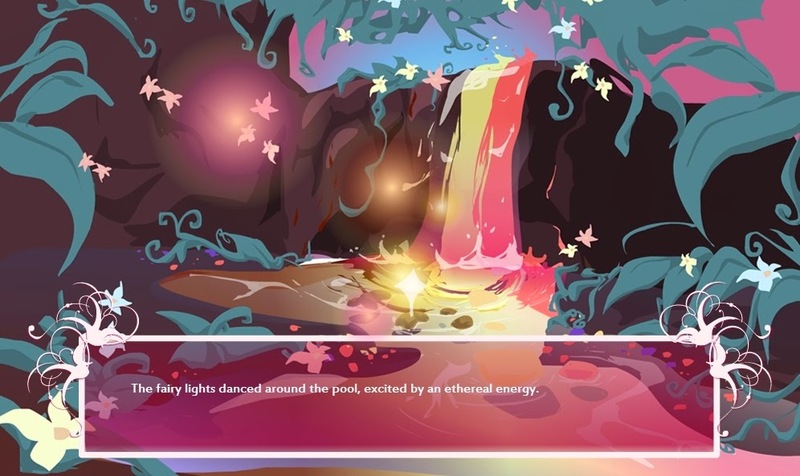 Plus, the effects were dazzling! - The backgrounds can be a bit too bright at times. - I wasn't exactly confused, but with three different narrators, I could definitely see how it could be confusing for some. Personally, I only dislike the frequent transitioning from one girl to the other, especially near the ending of this episode. - The writing was a bit inconsistent and awkward at times. Also, the overuse of ellipsis in the dialogues was quite distracting! For something so well done, a line like, ".............what........-?" always snapped me out of my concentration. - The characters, especially Sir Colin, moved a little bit weird. It was very disconcerting to see him sway and dip and jump every now and then. :o I really do hope he doesn't have ADD. 7/10! I only had a few gripes about this, but they were enough to shave off 3 points. And besides, I personally loved the presentation very much. 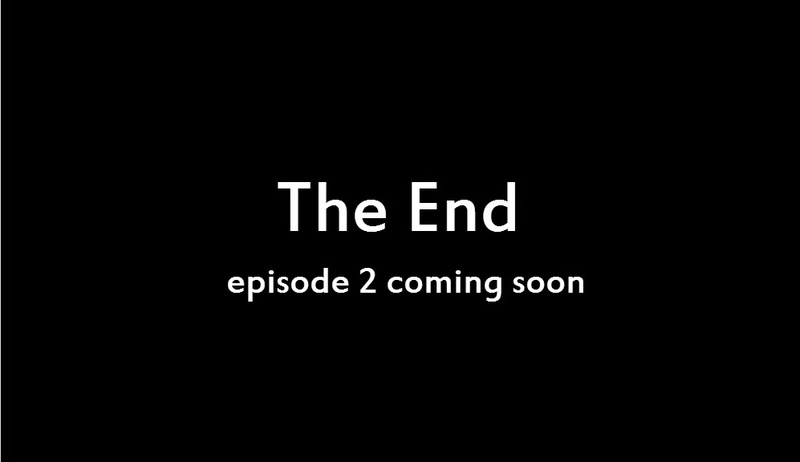 The story is intriguing as well, and I look forward to the next episodes. And shouldn't you be working on the monster jam? Or are you taking a break? Are you going to write on the next episodes too? Or maybe wait until everything is done?